These eye-shadows comes in a black plastic package with a clear acrylic-like top which looks quite cute, but I dropped one of the shadows and not only did it shatter, but the package does not close property anymore. The colors are lovely and metallic; they are infused with light reflecting particles, which makes these shadows special. They are well pigmented, although some colors are more pigmented than others. These eye shadows are great as a enhancement of the eye makeup look, just dab some metal eyeshadow on the lid for a pop of shine. #Look me in the ice 010 – my poor shattered shadow! It’s a white color with an icy silver-toned reflecting particles. I would say it is a great color as a strong inner eye highlight for us, pale girls. #Gold n’ Roses 020 – creamy rose gold champagne color with a rose reflects shot through. Probably my favourite color of them all. Works beautiful as a highlight or a color on the lid. 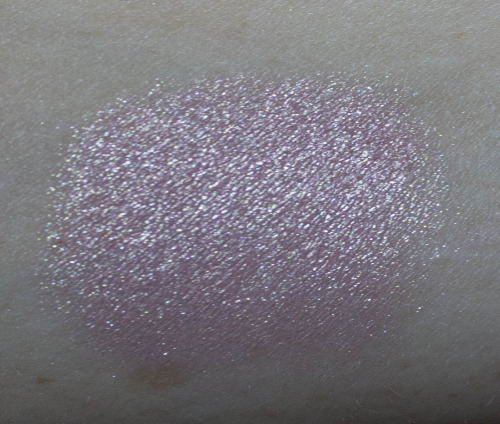 Also I love to put this one as an extra gorgeousness over other shadows I used on the lid. #We are the champagnes 030 – I would describe as a creamy golden amber colour, perfect for all over the lid application, or could be used as a highlighter for the darker skin beauties. #Nougat it right 090 – the most pigmented of all colors I have. It’s a dark brown color with a bronze reflects and it’s gorgeous! #Quel bleu turquoise CO3 - this one is a limited color, so I’m not sure if you can find it on sale. It’s a beautiful turquoise, perfect for a pop of color. Although this one was least pigmented of all the shadows that I tried.